Finding products that can grow with your child is not only practical but, can save you money in the long run. That’s why when it comes to my own kids, I have always looked for items that can be used for many years to come. While my baby days are over, I still love shopping for babies when I get the chance. I recently discovered that Best Buy, one of my favorite places to shop, has a wide array of amazing baby products. Not to mention, they have their Baby Sale that is on right now. There is only two days left to enjoy those awesome savings. But, if you have happen to miss it, they have sales pop up! The essentials that all parents and parent-to-be’s plan for are the basics. Clothes, diapers, bottles, car seats to name a few and of course, a crib. After all, a wee one needs a place to sleep, right? My old work friend Katie has a wonderful little boy, Tiago, who is simply the cutest little guy I have ever seen. She is also one of the nicest and genuinely caring nurses that I’ve worked with. Tiago is just over a year-old and thanks to Best Buy I was able to gift her with a dual-sided mattress and a gorgeous 3-in-1 convertible crib that will grow with him for many years. 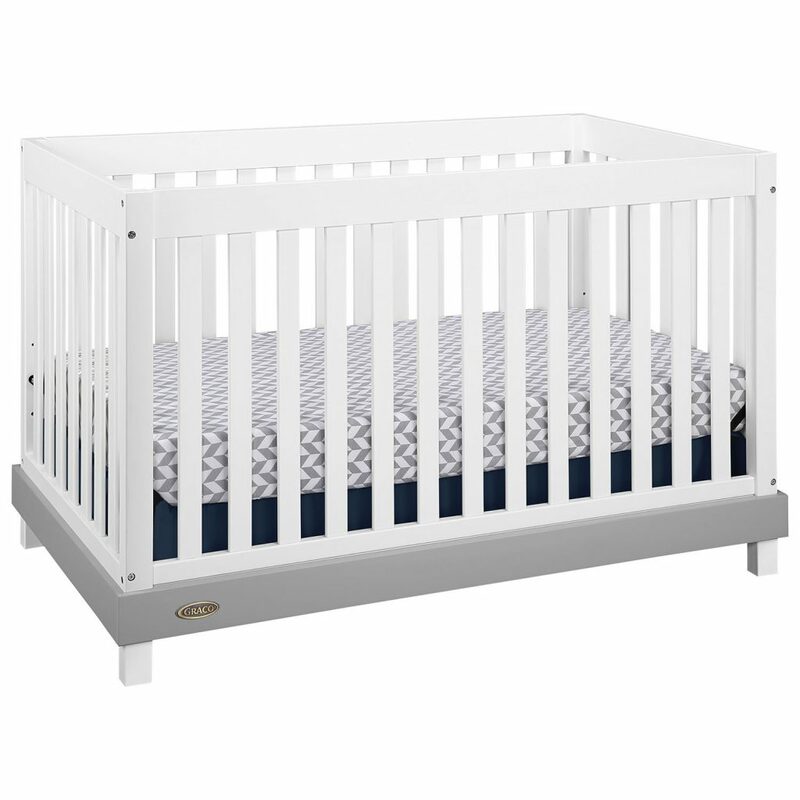 The Graco Maddox 3-in-1 Convertible Crib comes in white and grey and is a gorgeous crib that will grow with your child. 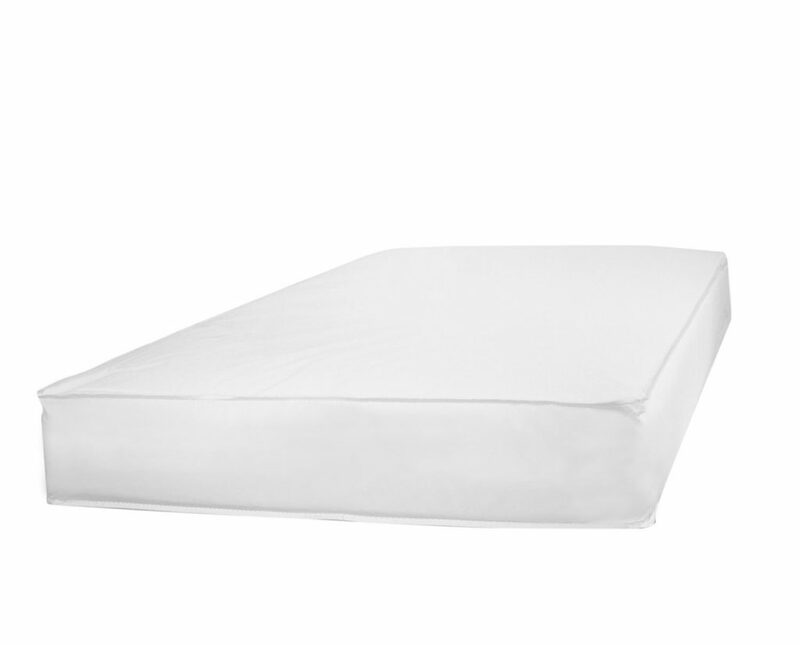 As your little one grows and begins to sit or stand up you can lower the mattress level. When they’ve outgrown the crib, you can transform the entire unit into a daybed and then into a toddler bed. Since the crib is made of pine wood, you can bet that it is solid and sturdy and can even be passed down for generations to come. What is refreshing is that Best Buy carries such well-known and trusted brands and that you can shop online for them. 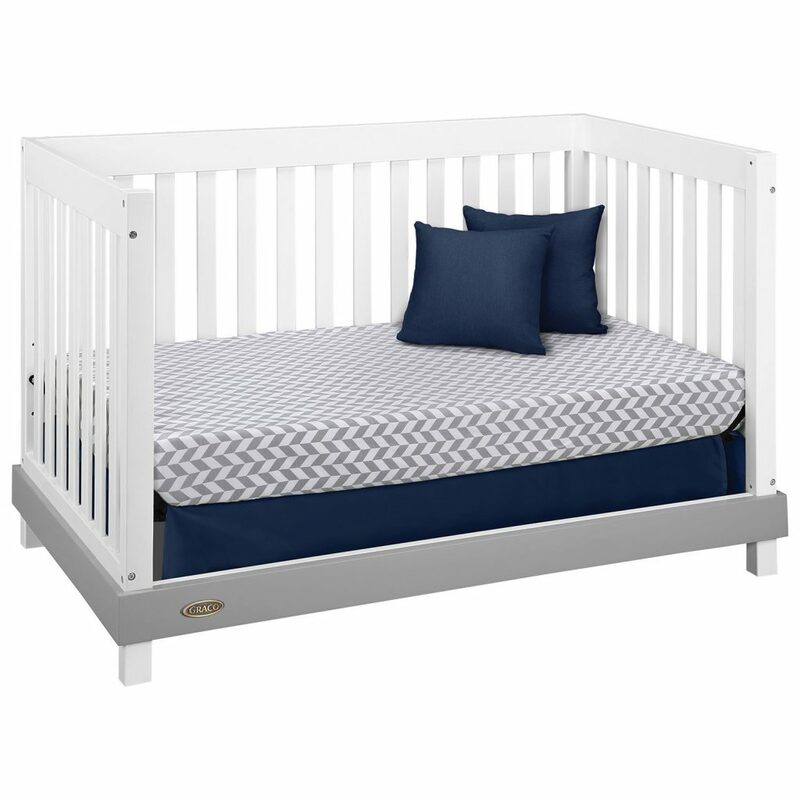 Right now, you can get this crib for $319.99 thanks to the Best Buy Baby Sale. That’s a savings of $80! For Mimi, we had a 3-in-1 convertible crib and we got so much use out of it. She was able to use it for quite a long time until she got into a twin-size bed. The crib does not come with a mattress so of course, we had to complete the gift by adding a KidiComfort Sleepynight Dual-Side Crib Mattress. It’s an eco-friendly ORGANICFEEL 2-in-1 mattress that has an ultra-firm side for infants and a second side for toddlers over 12 months old. That way, it grows with them and is safe for all stages. The water-resistant vinyl cover is removable and washable and the CertiPUR-US foam material it is made out of creates 2 layers of air for improved air circulation. Right now, this mattress is for sale for $44.99. That’s a savings of $35.00! So make sure to head over to Best Buy and take advantage of the sales that are going on right now through September 29th. They have an amazing selection and always have the lowest price guarantee plus free shipping. You cannot go wrong with free shipping, ever. So, don’t miss out! It is a great time to stock up, grab an item you’ve been eyeing or gift a friend. I hope Katie gets lots of use out of the Graco Maddox Convertible crib and that Tiago loves his new bed! Thank-you to Best Buy Baby for allowing me the pleasure to gift a friend and their little one. Visit BestBuy.ca to cash in on those deals before they’re gone! The Best Buy Baby Sale will help you save BIG and is on for TWO more days! If you happen to miss the sale, keep checking back because they always have great deals that pop up. For the latest updates, follow Best Buy on Twitter. What is a baby essential item that you recommend to new parents? Wow,i really like this and its got a reasonable price!! It is pretty affordable considering it grows with your child. Having a convertible crib was such a great thing with my daughter. This looks like a great high end version, a wonderful product. Love the style of this crib, so modern and sleek. We will consider this for the future use. It really is a gorgeous crib! My daughter is expecting her first in Feb.,she really enjoyed your review and have added this crib to her registry. We love Graco products, used some when our kids are little. Lovely crib! It really is a lovely one! I had no idea that they carried items for babies.. The selection looks good too and Moms-to-be would appreciate it. They have so many options! It is a great price for sure!